Whether it’s an antique heirloom or an eBay bargain, damage to a piece of furniture during shipping is as unnecessary as it is upsetting. If you want to ensure that your cherished items arrive in the same condition that they left, take a look at our top 10 tips for shipping furniture safely. Sometimes you can transport furniture yourself in the family car or a hired van but often the size and weight of the items involved – or the sheer distance to be travelled and therefore the time and fuel expense – mean that it makes sense to use a commercial transport company. With many people using websites such as eBay and Gumtree to purchase second-hand furniture, transport is a growing market and you need to take care to choose a professional provider. Sadly, too many of us have heard anecdotes about firms shipping furniture to the wrong address, damaging items during transit or even losing them altogether. 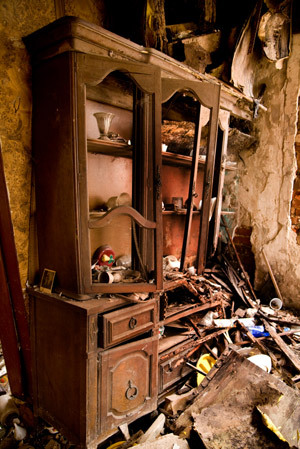 "Don’t trust your precious furniture to a ‘man with a van’ – always use a professional haulage firm." Plan – Yes, really…sit down with a pen and a piece of paper and work out what you want to do and how you are going to do it. In particular, decide how you will pack your furniture for transit and what materials you will need to do this properly. Check the condition – If you’re shipping your item from your home or premises to another destination, check it over and record any existing damage. Take photos if possible. If you’re buying second-hand furniture using the Internet, make sure that the seller provides you with accurate details and images so that you can easily settle any disputes afterwards. Do the paperwork – Shipping items to or from overseas may require customs forms or other documentation to be completed. Check out what is required and make sure you have all the ‘i's dotted and ‘t’s crossed before the day of shipping. Disassemble – Your furniture may be more secure in one piece – with the drawers left in a chest, for example – but it may still be desirable to remove fragile items such as knobs and finials, especially if they protrude or are made from vulnerable materials such as glass. If you do decide to take items apart, a great tip is to put any small components – such as nuts, bolts and washers – into a plastic bag that is clearly labelled with the furniture they belong to. Use sliders – If you are leaving your furniture in one piece and it’s heavy or awkward to handle, consider getting some commercial sliders to place under its feet. These help to avoid scratching wooden floors and damaging carpet or vinyl. Alternatively, improvise with some heavy-duty rags or a blanket so that you can drag or push your furniture without lifting. Mind your back – If you need to lift your furniture, make sure you do it in the correct way to save your back. Bend your knees slightly and try to lift with your legs, with your upper back remaining straight. If at all possible, rope in friends and neighbours to help you – you can repay the favour another day. Put it on a pallet – Goods are much safer on a pallet because this significantly reduces the risk of them being manhandled. What self-respecting haulage employee is going to risk his health by lifting your furniture if he can use a forklift truck instead? What’s more, loading on a pallet will protect your item from contact with any damp warehouse floors that it might meet on its journey. Pack it well – Ensure that you have sufficient packing material such as plastic sheeting, bubble wrap, old blankets and tape to make a good job of protecting all the vulnerable parts of your furniture. Don’t skimp on this, or you’ll regret it! Label it – Don’t forget to put a large and clear 'fragile' label on your item. It may seem simple and obvious advice but you’d be amazed how many people forget to do it. Insure it – For valuable items, consider taking out insurance. Many hauliers include insurance cover in their pricing but this will usually have a maximum liability per kilo. For goods exceeding this, professional hauliers often provide additional insurance. National Pallets, for example, insures goods carried insured at a rate of £1.30 per kg against loss or damage as standard. For an extra fee, customers can take additional insurance to bring this cover up to £5.00 per kg. An extra payment of £50 plus VAT will secure extended insurance up to a value of £25,000 – although goods must not overhang the pallet in any way and must be wrapped and safely secured by the customer. Insurance quotes are also available for goods valued at more than £25,000.